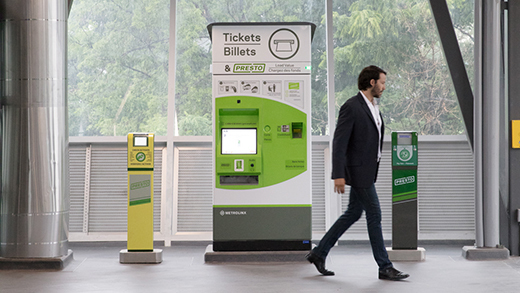 On April 10, the Metrolinx Board of Directors approved a fare change to take effect April 20, 2019. GO fares for short-distance trips will be reduced to $3.70 when using PRESTO to make GO an even better option for travelling within and around your community. Trips up to 10 kilometres will cost $3.70 with your PRESTO card instead of the current lowest PRESTO fare of $4.71. The cost of single-fare paper tickets will be lowered to $4.40 versus the current lowest ticket fare of $5.30. This change will make the cost of GO for a short trip more in line with other local transit options, giving you another way for you to easily and quickly get across town for trips to the mall, family visits, or a night out. There will also be a modest increase on fares for longer-distance GO trips to maintain and improve your services as we continue to expand. PRESTO fares for trips greater than approximately 10 kilometres will be increased by up to approximately 4%. For example, a PRESTO journey from Union to Barrie South GO Station will increase from $12.40 to $12.82. The price of a single-fare paper ticket for trips greater than approximately 10 kilometres will increase by up to 10%. Since the last fare increase in September 2017, we’ve grown services by 25 per cent, and we’re working hard to bring you even more—and better—services in the future. This increase will help cover the costs of providing quality service to our customers, which rise each year with inflation. Use PRESTO to pay the lowest possible fare. With PRESTO, you get automatic discounts when transferring between GO and local transit agencies, including the TTC. PRESTO fares are estimated and based only on route information. Fares and discount are estimated and subject to change. Discount is based on direct routes with no transfers, off a single adult GO fare paper ticket. Actual discount maybe be .1% lower due to rounding. Fares will be lowered for train trips to and from Niagara Falls and St. Catharines so they are aligned with bus fares for those locations. UP Express fares are not changing. This means that fares for UP Express and GO Transit will no longer be the same, and you will need to tap your PRESTO card on the device that corresponds with the train you’re taking. If you travel on UP you must tap your card on UP Express devices, and if you’re taking GO, you must tap your card on GO Transit devices. If you’re travelling to or from Bloor or Weston and wish to take advantage of the discount when connecting with TTC or the GO loyalty program, you have the option of taking GO Transit. UP customers travelling to and from Pearson airport will continue to benefit from a discounted TTC fare when connecting between the two systems. substantial upgrades and enhancements to multiple legacy bridges over the rail corridor, extending the longevity and ensuring the safety and reliability of our infrastructure o this includes full replacement of the 100 year old Humber River Bridge, elevation of 5 bridges, comprehensive repair and inspection program across the entire network to strengthen the integrity of the bridges and provide improved resilience to climate.